These 12 gauge, #4 buckshot shells are great option whether you tote a Remington 870 and want the ammo to match, or are looking for a dense-patterning load to pair with your favorite brand of shotgun. 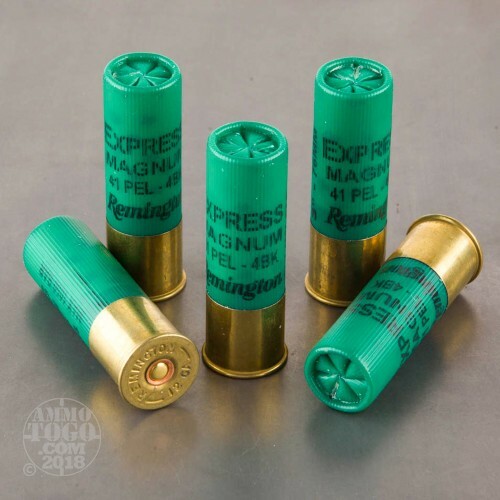 With a 3 inch shell length, these magnum rounds offer a large amount of #4 size shotgun pellets which can be useful for self-defense when thin barriers are a concern as well as deer hunting at close stalking ranges. 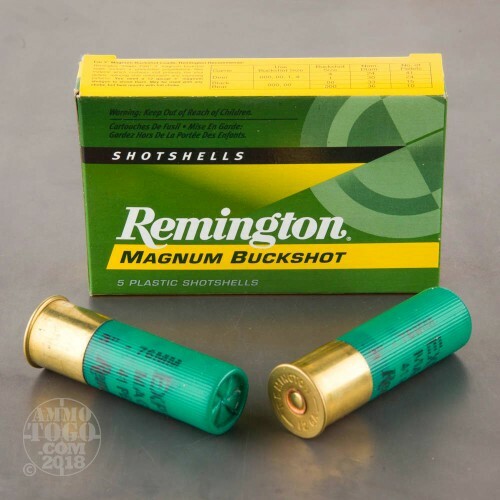 A high-brass magnum load means that the 41 pellets get to the target faster and penetrate deeper into vital organs for more successful threat stopping and game dropping. 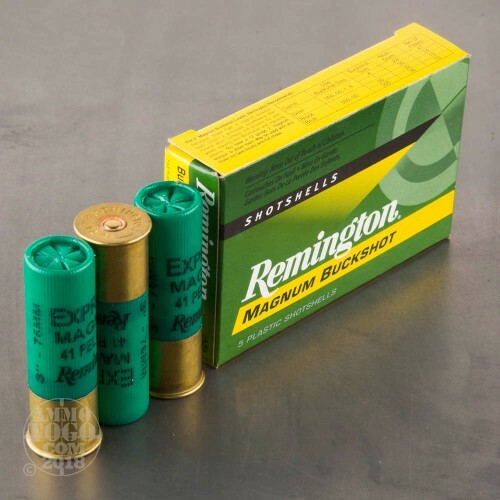 Remington builds these shells using non-corrosive primers, moisture-resistant hulls with a rolled top for smooth loading, and granulated polymer buffering material. The granules sit between shot pellets and protect them from fratricide and flat-spotting during the firing process; pellets that maintain their round shape stick together in a tight pattern and exhibit superior ballistic performance. Since 1816, Remington has been providing innovative products and field-proven ammunition to shooters who hunt, plink, compete, and carry firearms for duty or personal protection. posted on 3/15/18 by Garry J. 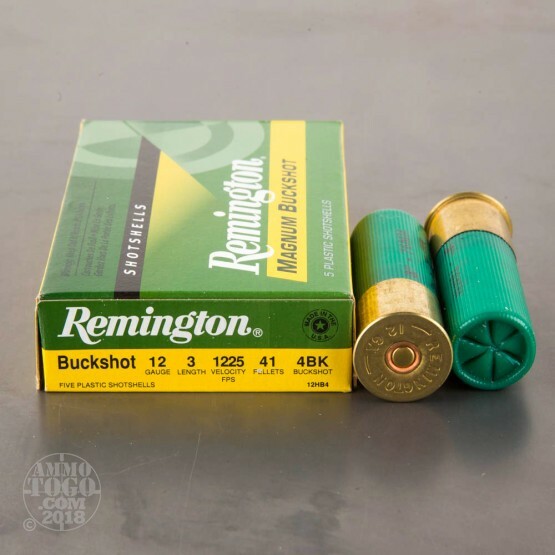 If you can handle the recoil, these are the buckshot's you want. 41 pellets in a 3 inch shell puts the heaviest concentration of pellets on target. They work well with a modified or full choke. No more buckshot testing for me.